Shell and Regus announce the trial of a joint programme that could see Regus business lounges open at Shell petrol forecourts on motorways across Europe. The business lounges are designed specifically for the needs of mobile workers. Use reliable high-speed internet; scan, copy or fax documents; print from their laptop, smartphone, Blackberry or tablet; get help from a virtual concierge; arrange courier deliveries; and, combine stopping for fuel, food or forecourt services with using professional work facilities. 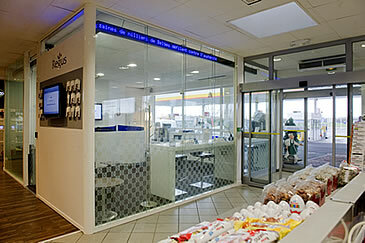 To access the business lounge, they simply buy a day pass at the Shell checkout or swipe a Regus Businessworld card. The Businessworld programme offers members drop-in access to more than 1,200 Regus business centres around the world. The lounge will be an addition to the existing range of high quality fuels and lubricants and other forecourt services such as the shop. “This alliance allows Shell and Regus as market leaders in their respective fields to come together to better serve our customers. 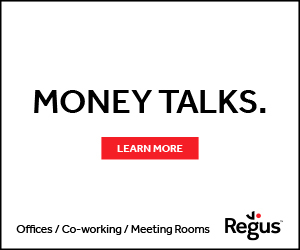 Mark Dixon, CEO of Regus, said: “Research shows there are around 1 billion mobile workers globally. Though they communicate and work using smartphones, tablets and laptops, they miss access to facilities like printing, copying and a professional place to work, meet or think.